January 17, 1861: Orr to the Georgia Convention: North in the grip of a “blind and relentless fanaticism”. 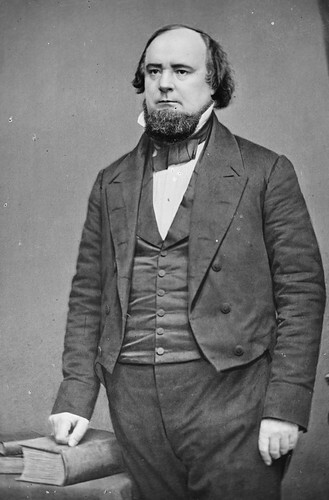 James L. Orr was a commissioner from South Carolina to the Georgia Secession Convention. The early-seceding states sent commissioners to other Southern states that were holding conventions, with the charge of helping to persuade those other states to secede and to join them in a Southern Confederacy. The speeches of these secession commissioners are quite revealing, as they represent the arguments for secession that were thought by Southerners to be persuasive to other Southerners. The supposed “fanatical” abolitionism of the Lincoln administration was the primary argument, of course. This entry was posted in Georgia, James L. Orr, Secession, South Carolina. Bookmark the permalink.